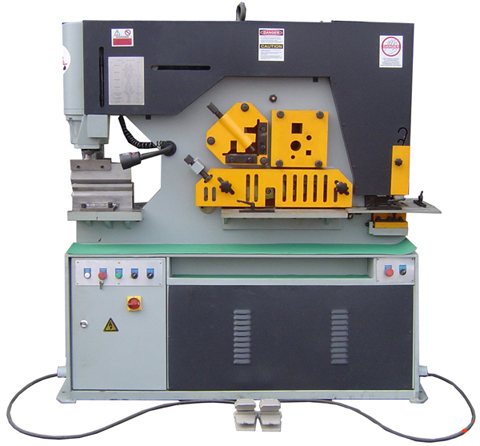 Q35Y-20Hydraulic Combined Punching & Shearing Machine, is able to perform punching , plate shearing, angle steel slotting, if it is with suitable dies and tools ,it can also performe joist steel sutting, channel steel cutting, and even the bend-pressing flanging, the shutter pressing. For its compact construction and low noise. The machine is widely used in all fields of metal forming process.